Rachel Deblinger, digital humanist, discusses connection between JDC Archives, technology, and history. 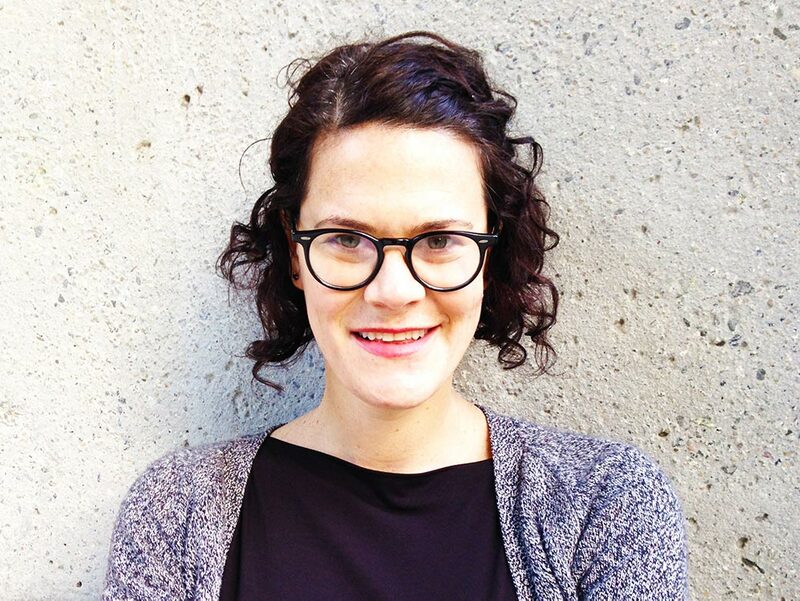 As Director of the Digital Scholarship Commons at the Library of the University of California, Santa Cruz, Dr. Rachel Deblinger assists the campus community with the uses and methods of digital humanities. Her academic background as a historian of Jewish and Holocaust history adds a unique layer to her expertise as a digital humanist. Deblinger is no stranger to the JDC Archives. 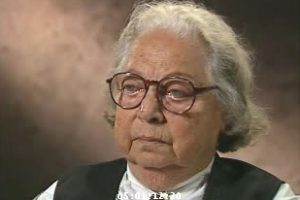 Her dissertation about American Jewish philanthropy and the shaping of Holocaust survivor narratives in post-World War II America was enriched by the range of previously untapped sources – pamphlets, letters, posters, advertisements, but also films and radio programs – many of which she found at JDC, the leading humanitarian organization assisting European Jewish Holocaust survivors at the time. For Deblinger, digital platforms, such as the holdings of the JDC Archives, also provide a visual extension of text-based scholarship. It is one thing to read analyses of audio and video sources and images, and another to actually hear and see these historical records in context. Audio-visual files comprise a key source for Deblinger’s current research project, which examines how American Jewish communal organizations communicated the plight of Holocaust survivors for American Jews immediately after the war. Deblinger focuses on technologies that allowed organizations, like JDC, to disseminate information about the Holocaust as a way to garner support for survivors. This is where JDC-produced audio and visual material assumes center stage. When asked about her most exciting find, Deblinger immediately answered, “radio scripts!” Contemporary celebrities, such as the performer Eddie Cantor, became involved in JDC aid campaigns by reading ads and reports on the air while being heard by scores of their fans. Such recordings, Deblinger observed, made the American public aware of the Holocaust, introduced American Jews to Holocaust survivors, and contributed to preserving Holocaust memory. The participation of media personalities rendered special significance to the experiences of survivors, and generated audience interest. Deblinger’s research thus counters the myth of silence about the Holocaust in the United States in the immediate postwar years. JDC, through its investment in audio and visual media, was at the forefront of collecting and transmitting information about the Holocaust to Americans. Deblinger will both analyze such sources in written form and link them in a digital platform to complement the text. Scholars tend to use traditional archival material and to present their projects in writing, but, as Deblinger’s work shows, reaching for a variety of media sources (print, radio, video, and performance) illuminates a wholly innovative way of writing and presenting history. And online tools allow scholars to link various sources to make connections between the past and the present. Digital humanities tools allow for navigating that history in non-linear ways. “The JDC Archives website and digitization efforts create opportunities for engaging with digital humanities methods,” Deblinger observed. The available data makes possible keyword searches, textual analysis, or data visualization – methods that can reveal patterns of continuity and change in the organization’s history and activities. 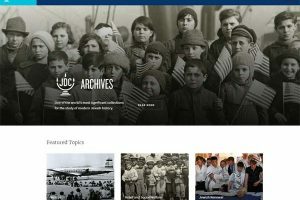 As an online platform, available to a broad range of audiences, “The JDC Archives presents archival information to the public in a fresh way, helps them to understand Jewish history, and shows what historians do,” Deblinger said. One example of a JDC Archives online tool that has far-reaching potential is curated exhibits. “They allow the public to engage with history through archival materials,” Deblinger explained. In fact, Deblinger will use the JDC Archives website in her upcoming course, “The Holocaust in the Digital World,” which she will teach at UC Santa Cruz in the Fall 2016 semester. Students will examine the website to learn about narrating history and building online exhibits, and thus creating memory of events. 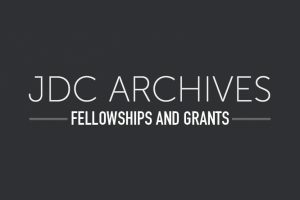 The JDC Archives website, with its database, digital exhibits, photo galleries, and informational content, serves as a significant resource, especially as scholarship and education increasingly connect with digital humanities.